As a leader in Christ’s church, you are committed to fulfill the Great Commission and the Great Commandment. You want your church to make its maximum impact for God by winning people to Christ, connecting them to a local church and building them up in the faith. Talbot School of Theology gives you the tools you need to faithfully make disciples in North America and around the world. Discover new insights to understand and reach people for Christ. Wrestle with what it means to be the church in today’s context. Develop ideas on how to turn around declining churches. Learn how to grow and multiply healthy churches. Explore ways to renew established churches. Examine approaches for planting multi-ethnic churches. Since the best ministry flows out of sound theology, your first week will be spent learning what the Bible says about growing and multiplying churches. The second week will help you understand the culture in which you minister and the leadership challenges of helping your church grow. In this residency you will explore and evaluate “cutting edge” church-planting strategies designed to create thriving churches. You will also discover how churches that have experienced significant decline can find new life and a wonderful future. Dr. Gary L. McIntosh is a nationally and internationally known Professor of Christian Ministry and Leadership. He is recognized as the foremost spokesperson for classical Church Growth Missiology in the United States. As a church growth expert, he publishes Growth Points, a monthly publication read by over 7,000 church leaders. McIntosh is in wide demand as a speaker and seminar leader on numerous subjects related to church life and ministry. He has published over 300 articles and reviews in Christian magazines and theological journals, and is the author of 22 books including One Size Doesn't Fit All; One Church, Four Generations; Staff Your Church for Growth; Biblical Church Growth, and the award-winning What Every Pastor Should Know: 101 Indispensable Rules of Thumb for Leading Your Church. Dr. McIntosh has a Ph.D. from Fuller Theological Seminary, D.Min. from Fuller Theological Seminary, M.Div. from Western Conservative Baptist Seminary, and a B.A. from Rockmont College, now Colorado Christian University. 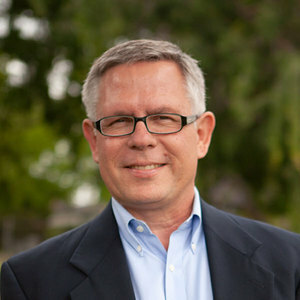 Dr. Alan McMahan is Professor of Intercultural Studies and Program Director for Undergraduate Studies at Biola University’s Cook School of Intercultural Studies. Dr. McMahan has served in churches in North America and on the Pacific Rim. He has also taught in the areas of missiology, church growth, leadership, organizational development and evangelism. He has been active in training undergraduate and graduate students including mid-career professionals, Bible school teachers, pastors and denominational leaders throughout the United States, Canada and much of Southeast Asia in the effective means to develop leaders and grow churches. He has served as Vice President for the Alliance Theological Seminary and as the Academic Dean at the King’s College in midtown Manhattan. Dr. McMahan has a Ph.D. from Fuller Theological Seminary, Th.M. from Asbury Theological Seminary, M.Div. from Alliance Theological Seminary, and a B.S. from Nyack College. Dr. George Hunter, as a young seminary student in 1962, spent eight weeks sharing his faith with “Muscle Beach” surfers, beatniks and bodybuilders. They thought he was from another planet; church jargon made little sense to them. That experience sent Hunter on a lifetime quest that has placed him among the world’s leading authorities on communicating the gospel to secular people. A coveted speaker, Dr. Hunter has led seminars for more than 30 denominations in more than 20 different countries. He has authored 10 books, including How To Reach Secular People, Church for the Unchurched, Leading and Managing a Growing Church and Radical Outreach, all with Abingdon Press. Charles Van Engen is an experienced missionary, having served for many years in Mexico. 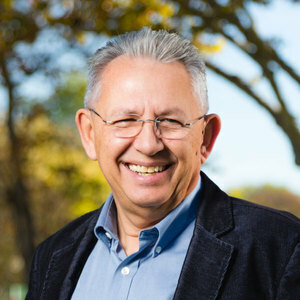 He is an expert in the theology of mission, as well as cross-cultural ministry. A prolific author, Van Engen has published many books and papers. His wide-ranging publications include Announcing the Kingdom: The Story of God’s Mission in the Bible, Footprints of God: A Narrative Theology of Mission, God So Loves the City and The Growth of the True Church.